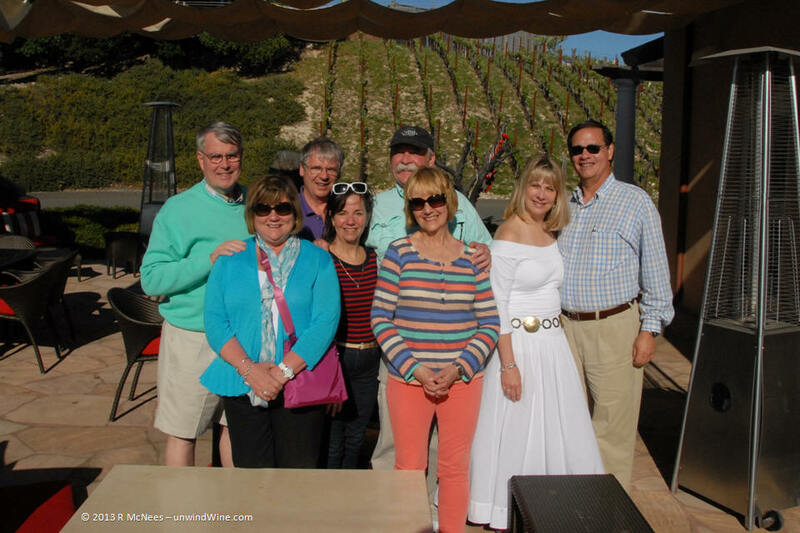 Another highlight of our recent Napa Valley Wine Experience 2013 was our tasting tour at Hall Vineyards Rutherford Estate. 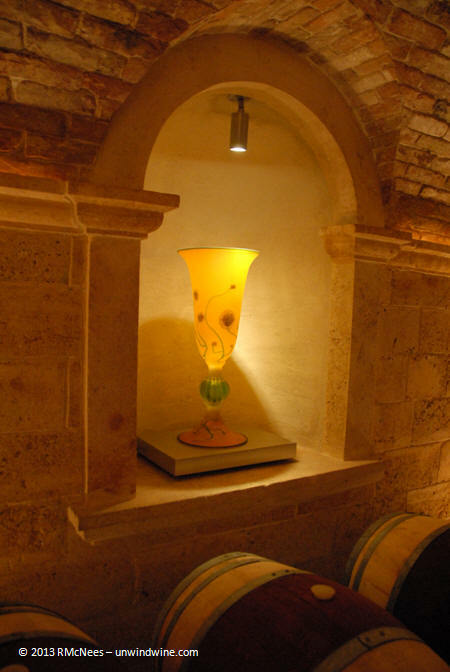 We first discovered Hall and their Napa Valley wines during our Napa Valley Wine Experience back in 2003. We've collected their signature label Napa Cabernet Sauvignon since. 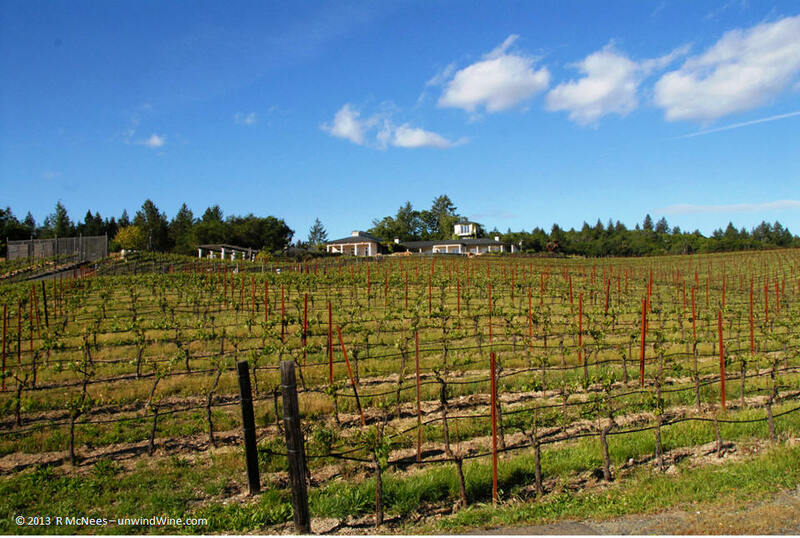 Along the way we picked up numerous vintage selections of their vineyard designated Sacrashe Vineyard Cabernet Sauvignon from the namesake vineyard. The Hall Sacrashe Vineyard, pictured left, sits on the lower tier of the Vaca Mountain Range on the eastern Napa slope above the tony Auberge du Soleil Resort, Spa and Restaurant. Our gallery of pictures of our Hall Rutherford visit are on our Napa Wine Experience 2013 - Hall page on www.unwindWine.com. 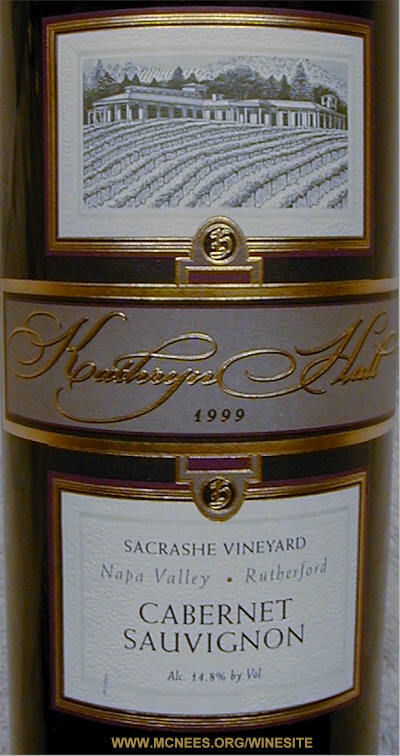 The Sacrashe vineyard designated label evolved to the Kathryn Hall Napa Valley Cabernet Sauvignon label with the 2006 vintage featured in our tasting journal back in March 18, 2010. 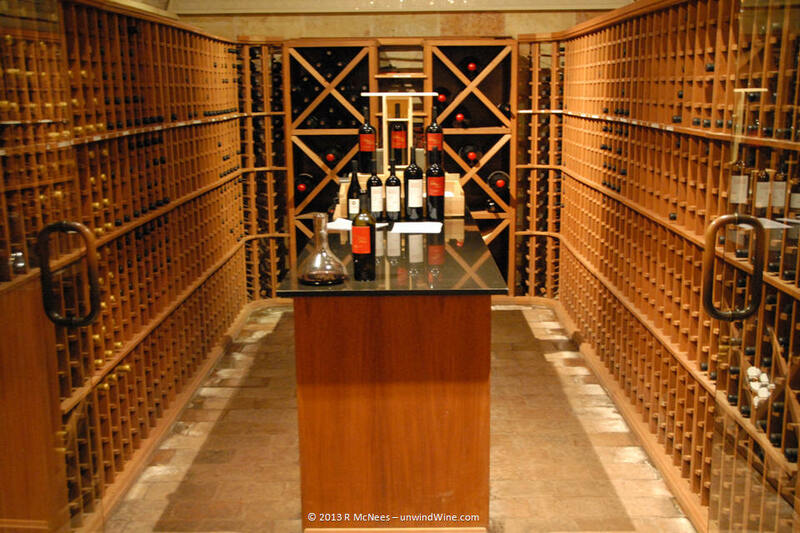 This flagship label received numerous blockbuster ratings culminating in the 2009 release which was acclaimed the #2 wine in the world in Wine Spectator's annual Top 100. This was one of the highlights of the Wine Spectator's Grand Tour, Chicago, 2011. We've had fun over the years giving the festive red labeled Hall wines to friends and family at Christmas, artfully decorated with a whimsical play on words, 'deck the Halls with boughs of holly..."
Hall has continued their development in Napa Valley with the opening of their Rutherford winery and tasting room located at the Sacrashe Vineyard. This has gone hand in hand with the proliferation of the number of labels on offer as well. They explain that the Rutherford crush facility is built to accommodate small lot production of crafted wines to complement the larger volume production capabilities of the Valley facility in St Helena. 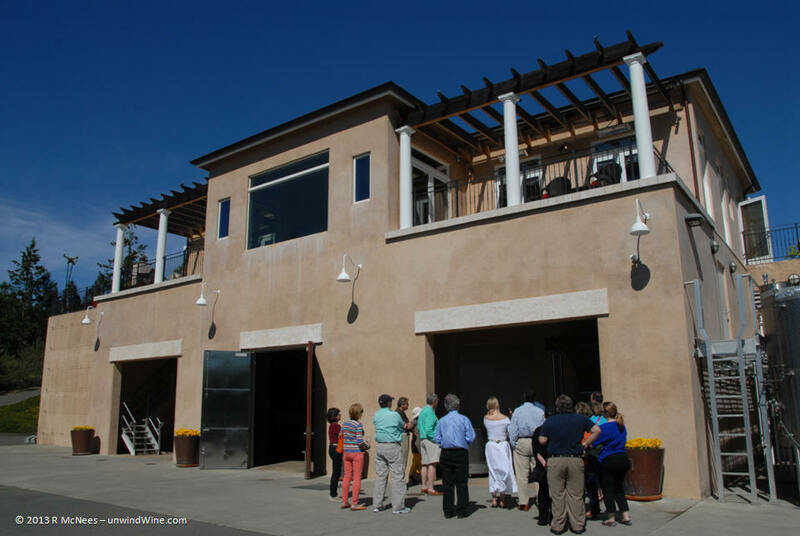 The Rutherford winery features a stylish reception center with an outdoor patio and several interior tasting rooms with views overlooking the valley below. The center sits atop the winery production facility which connects to a network of caves dug into the mountain side below the famed Sacrashe Vineyard. The 14,000 square feet of caves were designed and built by hand by Friedrich Gruber of Gutenstein Austria. They are finished with handmade Austrian brick recovered from sites in and around Vienna. 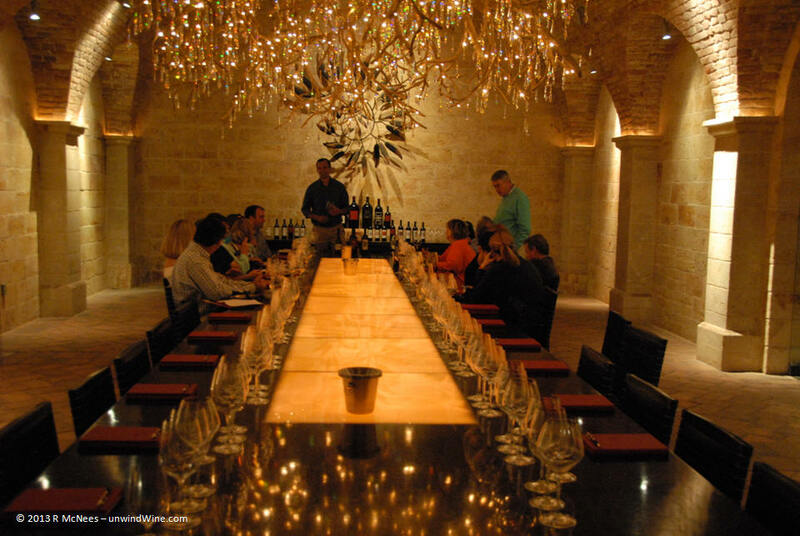 Deep in the caves is the highlight of the facility, a magnificent cavernous tasting room with a massive table that can accommodate thirty. Over the table is a huge elegant crystal chandelier. The table offers picturesque views of the caves. 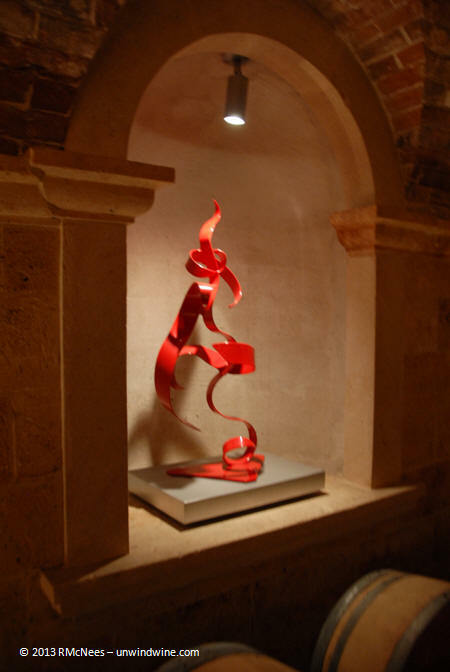 Overlooking the room from the end wall is another large metal sculpture depicting the vines over a large table showcasing the selection of labels. To the rear of the room opposite the cave walk is a wine cellar housing some of the estates library wines. 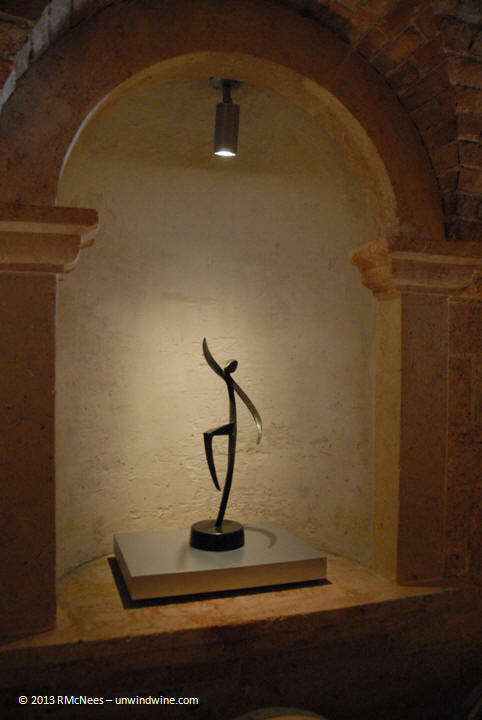 Another remarkable feature of the cave facility is the displays of artwork from the Halls’ art collection. 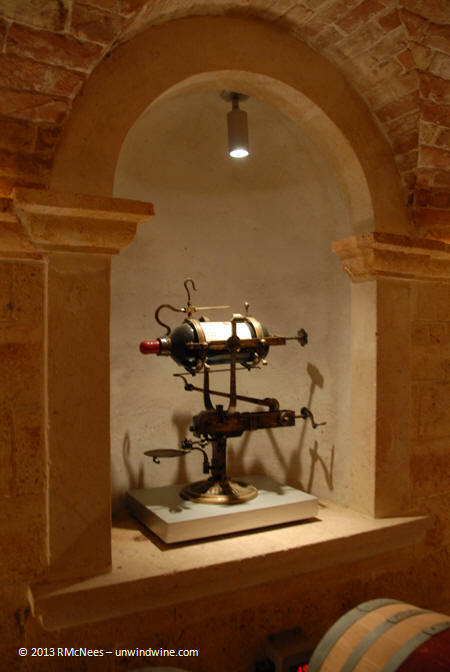 The numerous works of metal and glass sculptures are displayed in elegant nooks built into the walls of the caves to showcase the collection that also includes a historic vintage large format bottle decanting contraption with a hand crank (shown below). While not necessarily a collectable, we consider Sauvignon Blanc a mainstay of a comprehensive wine tasting with its clean crisp clear true representation of the white wine fruits. 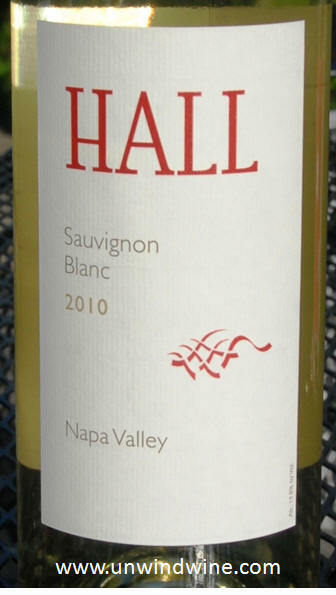 Hall is one of our favorites that we keep in our cellar for such occasions along with Duckhorn (featured in magnum at this years Open That Bottle Night 2013), David Arthur, and perhaps our favorite, Cliff Lede Napa Valley Sauvignon Blanc. HALL “Kathryn Hall” Cabernet Sauvignon has become the flagship label replacing the historic vineyard designated Sacrashe label. It represents the most select fruit from the estate's vineyard blocks combined with select mountain fruit from vineyard partners. A blend of varietals results in a Bordeaux cuvée showcasing the dominant Sacrashe vineyard fruits. Nearly opaque purple-black color, medium to full body, smooth and nicely polished, moderately complex with aromas of violets and cocoa and flavors of black berry and black raspberry and dark cherries,turning to hints of licorice, mocha and a subtle earthiness with moderate tannins on the finish. One of the range of new labels extending the selection of the Hall brand, "Ellie's" is a tribute to Craig Hall's mother; an artist and teacher; who enlisted in World War II as soon as the U.S. Navy announced it would accept women. Ellie inspired Craig's interest in art collecting. In remembrance and further tribute to her, the label displays a pencil drawing by Ellie of an owl watching over a family vineyard. Dark and full bodied, big fruit forward wine with layers complex layers of black fruits accented by tones of spicy clove and cassis with nicely integrated supple firm but nicely polished lingering tannins. Interesting blend named after the town of Darwin, Australia, where Kathryn and Craig’s small plane was required to make an emergency landing. 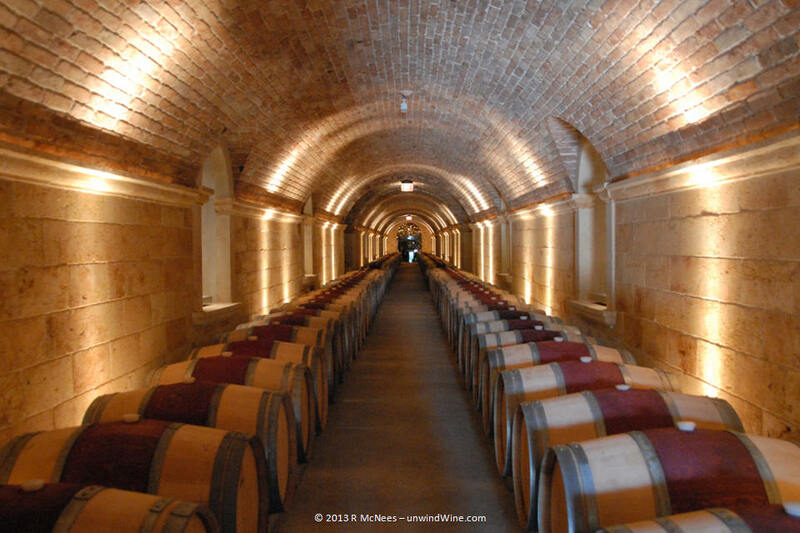 Once safely on the ground, the Halls toasted their well-being with an Aussie Shiraz/Cabernet blend and pledged to craft a similar wine in the Napa Valley to commemorate the occasion. . The 2009 HALL “Darwin” is an interesting blend of Syrah accented by Cabernet Sauvignon from the Hall Napa River Ranch estate. Dark, full bodied, forward black fruits accented by a layer of anise with tones of creosote and hints of tea and cedar. More of our gallery of pictures of our Hall Rutherford visit are on our Napa Wine Experience 2013 - Hall page on www.unwindWine.com. Oh my those cottages are adorable. I want to go now, looks fabulous. Cant wait to hear about the wine.